I'm convinced Colleen Hoover can't write a bad book. She's a gem in a quarry of rocks and I absolutely adore her writing. Written with all the beauty and precious honesty of Hopeless, this novella was just a joy to read. I found Daniel and Six to be cute, fun and tender with all the maturity that Skye and Holder possess. I thought Daniel's family was just perfect and adoring (and so, so funny!). I enjoyed the scenes with Skye and Holder, especially the way Daniel and Holder interacted. It was just great and reading about mature teenaged boys just never gets old. I will admit. This book is totally unrealistic. But in a way, that doesn't matter. 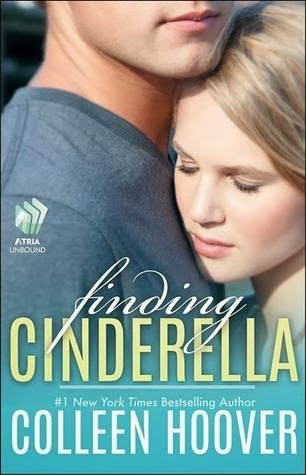 It's called Finding Cinderella. It's supposed to be more of a fairy tale than anything, I guess. Maybe I'm wrong, but again, it doesn't matter. It didn't take away from the story at all. I kind of saw the plot twist coming after a while. But that didn't diminish it's effect. 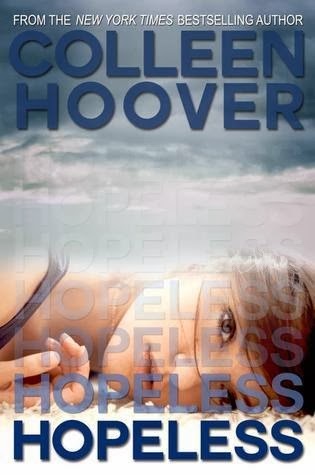 Hoover has a way of writing that even though you saw it coming, the dramatic after effect will still rock your world. This lady knows how to convey emotion and make you feel every ounce of it. I just love her! So if you're a fan of Hopeless (who ISN'T a fan of Hopeless? ), then this novella is a must read. It can be read as a standalone, so new readers can start here if you want. It won't make Hopeless any less awesome, I can promise you that. Go out and download this one right now! See my 5 STAR review of Hopeless!